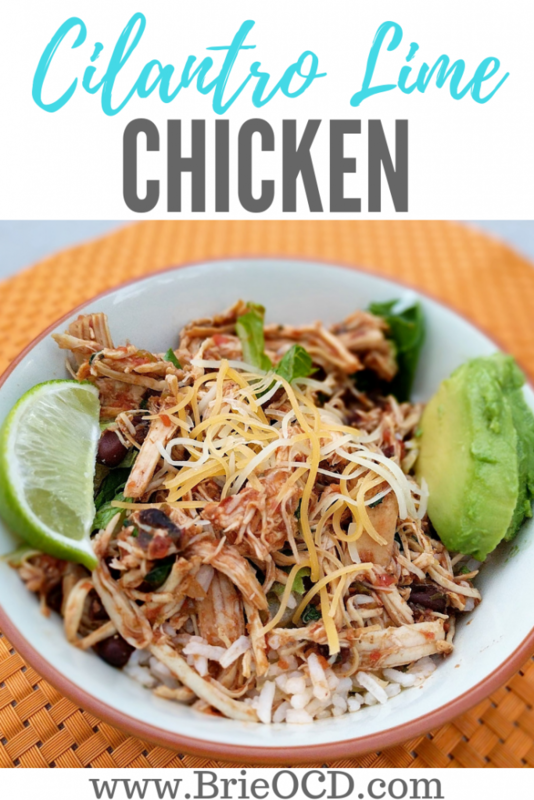 This Instant Pot Cilantro Lime Chicken is versatile and delicious! 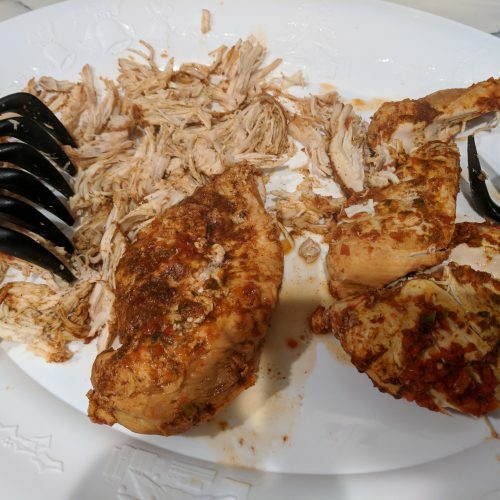 Chicken is a great protein that is low fat, low calorie and goes with almost everything! You can serve this cilantro lime chicken multiple ways so that you never get bored! 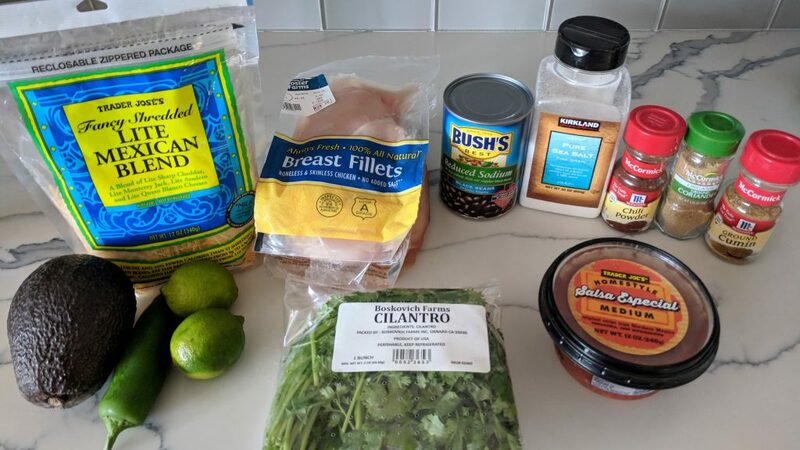 You can serve this cilantro lime chicken on top of white rice (or even cauliflower rice – click here for that recipe! ), on top of romaine lettuce or a mixture of both (hello Chipotle!). 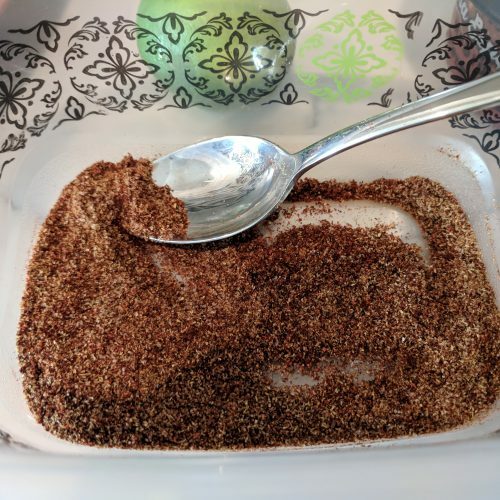 You can serve it on top of tostadas or even make tacos with it! The possibilities are endless! I served this with 1/4 avocado, a little lite shredded Mexican cheese and a lime wedge. Sometimes I get crazy and add in some pico de gallo and sauteed bell peppers! If you want to keep your fat content down, just get rid of the avocado (however it is a healthy fat!). See below for nutrition information! 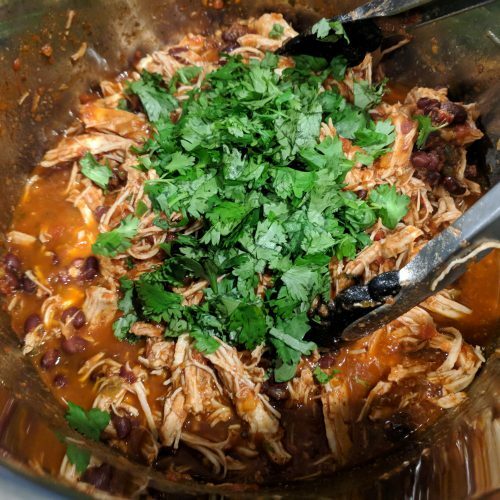 I made this chicken in the instant pot however if you don’t own one you can easily make it in the crock-pot. 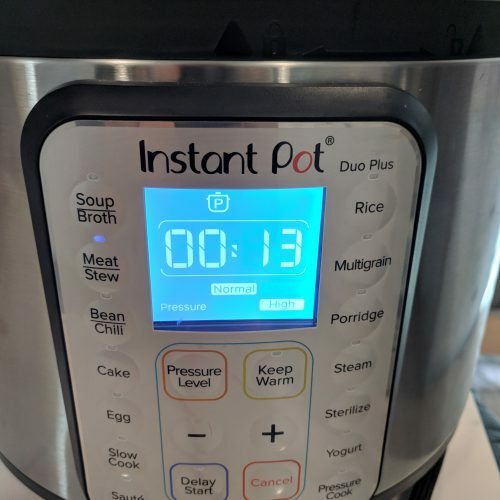 Simply follow all of the instructions below and instead of throwing everything into the instant pot, just throw it in the crock-pot on low for 8 hours or on high for 4 hours. Stats below do not include avocado. 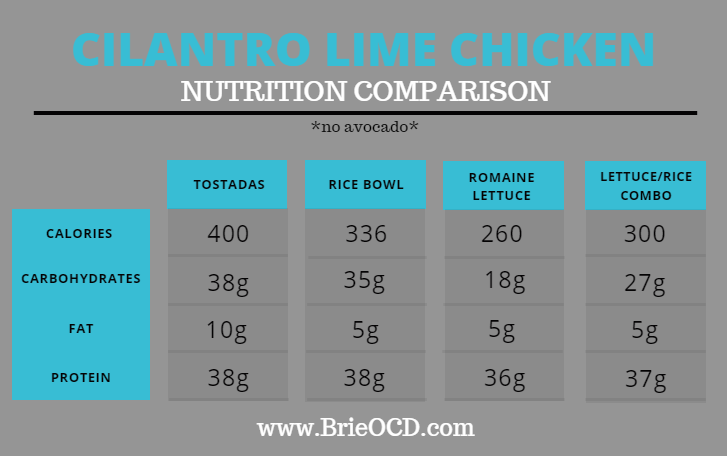 If you want to add 1/4 avocado like I did, then add 60 calories, 5g fat and 3 carbs to the totals below! The healthiest way is to put the cilantro lime chicken over romaine lettuce however I personally liked to do the combo of both romaine lettuce and 1/4 cup rice. 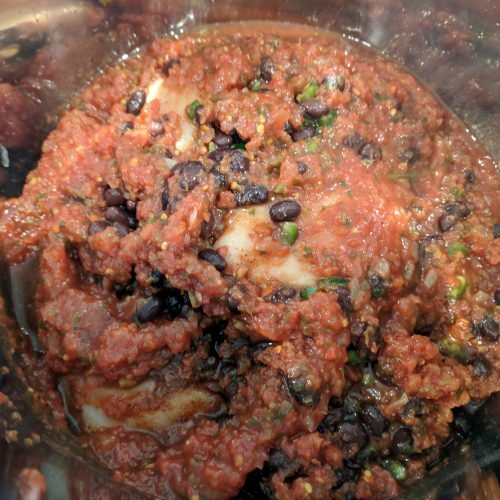 cover chicken with jalapeno, beans, salsa and 1 lime zested and juiced. cover instant pot and make sure vent is sealed. Set IP for meat (or manually on pressure setting on high for 13 minutes). when done, use quick release method (press cancel and immediately release steam). serve on top of rice, on top of lettuce (or both), or make tacos or place on top of tostadas. 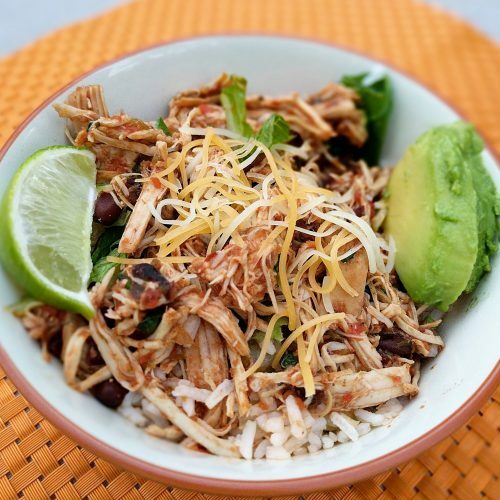 serve with sliced avocados, shredded cheese and lime wedges. If you like this recipe you should try others like this one by clicking on the following: Mexican Tostadas, 10 Minute Turkey Tacos, Tropical Shrimp Ceviche, Shrimp & Pineapple Tacos!